It’s been a little while since we last updated the blog with the latest goings on at Union Room. We have had the pleasure of working on some very exiting new projects, as well as producing some of our best work to date for existing clients. The next month or two promises to see us launch work that we are immensely proud of for a range of our clients, you can read more about that below. We also have a new member of the team since we last posted an update to the blog. We are delighted to have added Danny Trippett to our design team, and we look forward to him working on some of the exciting projects that we have in the pipeline. The Fusion Group are a unique financial services organisation with headquarters in London and Nairobi. 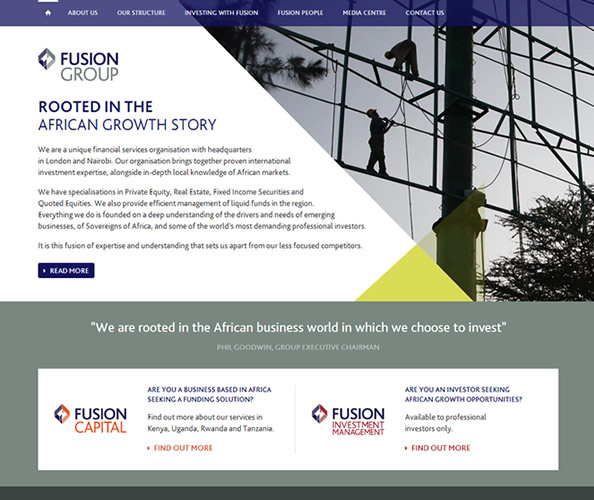 The aim of the Fusion Group is to deliver healthy returns for investors and to provide growing African businesses access to innovative and effective financial solutions. Projector created a fantastic brand for us to work with, and we helped create unique areas for each of Fusion’s businesses; Fusion Investment Management and Fusion Capital. The business is growing quickly, and work is ongoing on all area of the website. 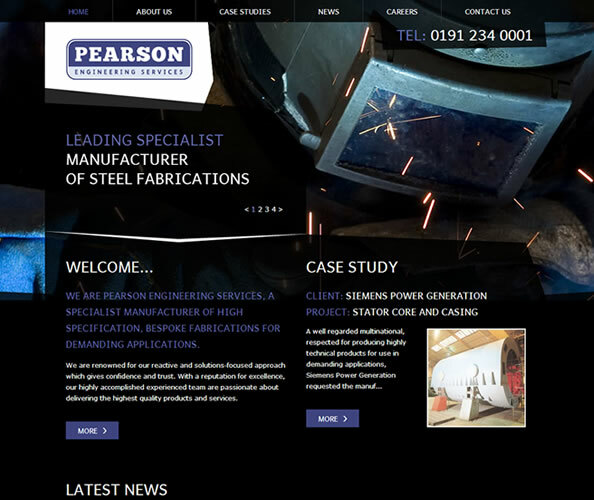 Pearson Engineering Services are a specialist manufacturer of high specification, bespoke fabrications. We developed a brand new website for the business, featuring a new design and WordPress CMS, as part of our ongoing releationship with the Reece Group. 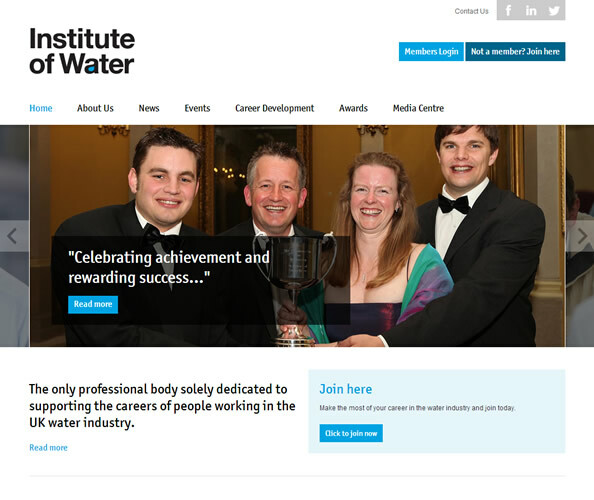 The Institute of Water, founded in 1945, is the only professional body that exclusively supports the careers of anyone working in the UK water industry. They came to us needing a new website that more accurately reflected their brand values, and which provided more interaction with it’s members. As well as a full redesign, the website contains a bespoke CRM system which handles events and invoicing for the Institute’s entire membership database. 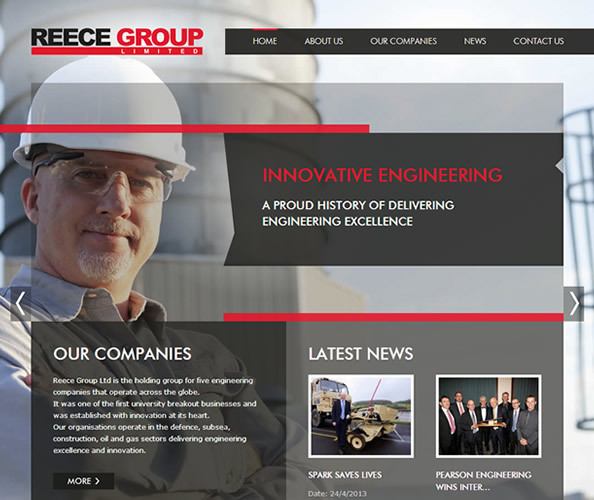 Reece Group Ltd, based in Newcastle upon Tyne, is the holding group for five engineering companies that operate across the globe. It was one of the first university breakout businesses and was established with innovation at it’s heart. Their organisations operate in the defence, subsea, construction, oil and gas sectors delivering engineering excellence and innovation. Based in York, SIMPSON co-ordinate and manage fit-out and construction projects across the UK. We have designed a brand new website which showcases the diverse range of high profile, award winning projects within their portfolio, and the high quality standards and expertise that SIMPSON can offer prospective clients. The site is fully content managed and comes with a host of features including an interactive project map and timeline which charts the development and growth of the business since it was formed in 1922. Story Homes build stylish, award winning, high quality new homes in Cumbria, the North East of England, Dumfries and Galloway. We are currently working closely with the team at Story to build a fantastic new website that more accurately reflects the quality of their product and the service that a customer would expect from the business. Look out for a full case study when we launch in June. Pearson Engineering is a privately owned UK company that develops combat engineer systems and equipment to meet the needs of both British and foreign armed forces. As part of our ongoing relationship with the Reece Group, we are currently working through the design stage of the project with the Pearson team. As part of our long term relationship with Parkdean, we have been working on a new version of the Lodges.co.uk website. In addition to their complete brand overhaul, we have introduced a ton of new functionality that helps users of the website to find and request information easily and quickly. The Jeweller’s Guild are a family run, independent jewellery retailer. Established in 2001, the business has three branches (soon to be four) offering bespoke, hand-finished jewellery. We had the pleasure of visiting the main workshop earlier this year to get an understanding of how the unique jewellery items are created, and we are aiming to promote this process on the website. Keep an eye out for the new website appearing in May. Our latest appointment sees us working with Blyth-based manufacturing business Tharsus. The new website will be live in early June, so keep an eye out for more information about this project on our blog. We will shortly be working with a new property management business, Lime Street Property, on their new website. The Lime Street team really want to stand out from the current property management field, so it promises to be an interesting project for us to work on.